Our working hours are between 9a-5p Monday through Friday and 10a-4p on Saturdays, though most gardening takes place on weekdays. Volunteer interviews are conducted during normal weekday hours. 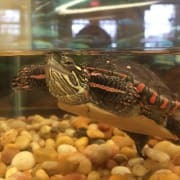 Please visit the Nature Center or http://lakekatherine.org/volunteer-opportunities.cfm to obtain a volunteer application. Return completed applications to Lake Katherine Nature Center & Botanic Gardens, 7402 W. Lake Katherine Drive, Palos Heights, IL, 60463, Attention: Volunteer Coordinator.